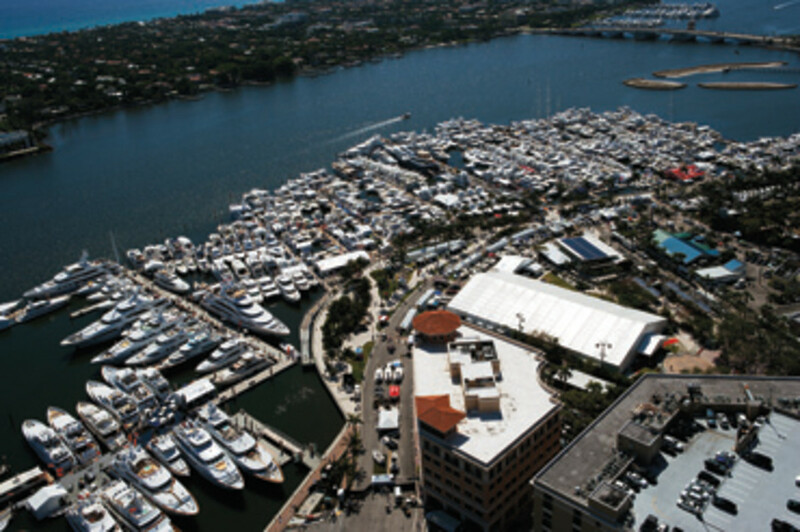 The tire-kickers apparently stayed home for this year’s Palm Beach International Boat Show, as manufacturers and brokerages reported strong sales activity and a high number of “quality” consumers. Land display area was up 22 percent, to 89,000 square feet, compared with 73,000 in 2012. “We filled every available square inch and went scrounging for more space and still had to turn away a few exhibitors,” Zimbalist said at a media breakfast on the show’s first day. “The show has been growing multidimensionally. We have some of the biggest boats we have ever had.” The largest was a 223-foot Lürssen named Kismet. The number of new boats in the water increased 31 percent, from 186 in 2012 to 244 this year. The 58 boats that comprised the increase consisted of 44 under 60 feet, nine from 60 to 80 feet, and five larger than 80 feet. The number of brokerage boats in the water was up 25 percent — 299, compared with 239 in 2012. Total boats — new and used — were up 28 percent, from 425 to 543. Viking Yachts representatives were available at the HMY Yacht Sales display, and representatives of Ferretti Yachts were on location, along with their brokerage, Allied Marine. Fort Lauderdale-based Denison Yacht Sales sold two boats — a Beneteau 34 Gran Turismo and a 52 Buddy Davis — according to president Bob Denison. In addition, qualified clients are interested in two of the company’s brokerage boats, he says. “While the crowds seemed a little light to us, people brought their checkbooks, which is great,” Denison says. The company carries five brands: Greenline, Beneteau and Beneteau GT, Austin Parker and Monte Carlo. Mike Strassel, a broker with RJC Yacht Services & Charter in Fort Lauderdale, sold a 2003 54-foot Hatteras at the show. 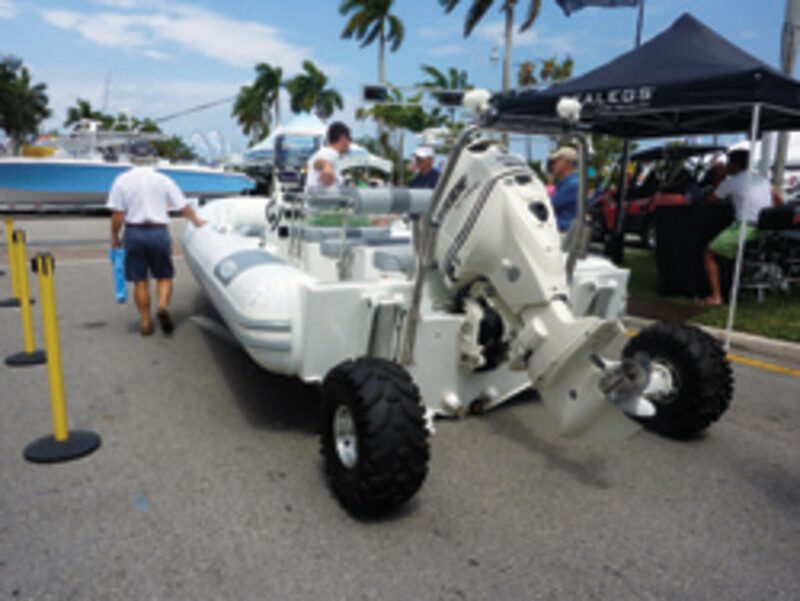 For Cavanagh and his high-end Grand-Craft boats, Palm Beach proved a good fit: He sold two $300,000 boats. While he was displaying at the Miami show two years ago, colleagues told Cavanagh, “This boat would really do well at the Palm Beach boat show because there are a lot of buyers who appreciate a contemporary classic.” That boat is a 36-foot Grand-Craft, based on the commuters that were popular in the late 1920s and early ’30s. She’s powered with twin Ilmore V-8 gas engines packing 382 hp each. The Palm Beach show serves as an effective venue to reach specific clients, Keating adds. Ferretti showcased four new boats: the Pershing 74, Riva 52 Rivale, Bertram 54 and Ferretti 620. 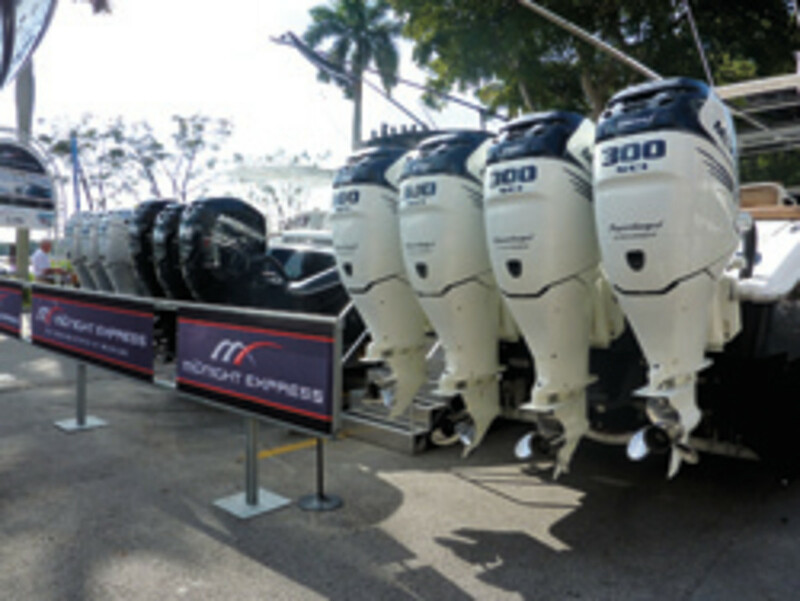 In addition, Allied Marine presented about 12 brokerage boats.